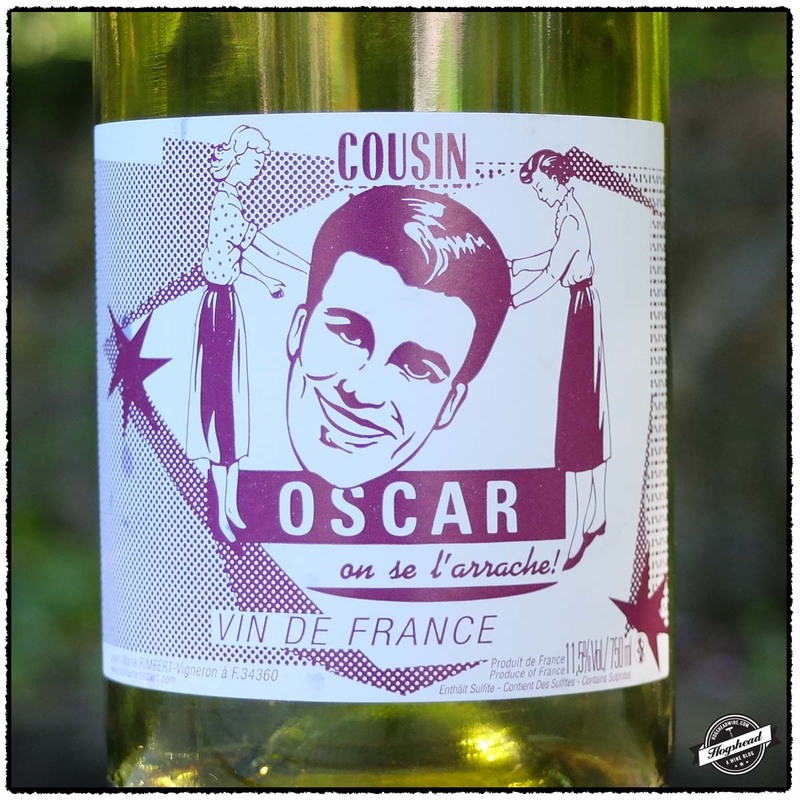 Everyone Needs a Cousin Oscar!!! This might be the ideal wine for the transition from summer to fall. It is a touch more serious than most rosé but is still quaffable, only 11.5% ABV, and refreshing. It showed best after one hour of air so I would dump the bottle into a decanter or carafe. It was our favorite of the three wines we were tasting. Enough so that Jenn would purchase a case. This wine was purchased at Chambers Street Wines where there are still two bottles still available as of this morning. Imported by Jenny and Francois Selections. This wine is 100% young-vine Cinsault. Alcohol 11.5%. The nose revealed grapey berries. In the mouth there was grapey, red fruit which became gentle, powdery fresh raspberry and cherry. There was a very gentle structure which reflected in some firmness towards the middle. This was a light wine but still confident. It takes an hour of air to be fully expressive but it is still a wine to drink now. It finally showed dark fruits and a little racy aspect. ** Now. I had seen bottles of Orin Swift D66 wine on the shelves of Pete’s East Lake in Seattle. I never bought a bottle but knew it was some sort of red wine from Roussillon. If it were not for the price I would have tried this Roussillion wine made by the Californian winemaker Dave Phinny for I rather like the region. Little did I know I was tasting another of Dave’s wines last week for in my mind D66 and Shatter were produced by two different winemakers. Though Dave worked on both wines their pedigree is a little bit different. Dave went on to build a winery in Maury and subsequently told Joel Gott about the region. According to the website Joel became interested by the unique terroir and the incredibly concentrated fruit which could make the darkest of French wines. 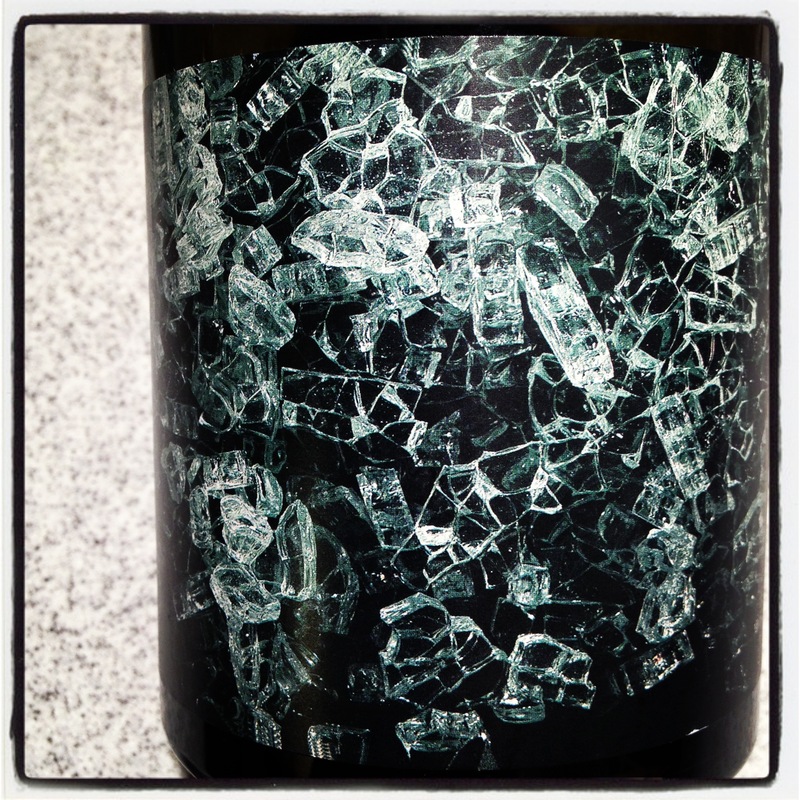 Thus excited Dave and Joel created Shatter with the involvement of Trinchero Family Estates. I was not confused at first for the initial sips revealed a concentrated wine with intense fruit flavors and a black, mineral finish which clearly needed to be chilled down. It showed potential. With air there was a distinct highly extracted, dried fruit quality to the wine. It was not the sort of wine you could drink much of, it really was strong stuff. Why would you make a wine with these sorts of flavors? Surely this came from the 30 day period the fruit was cold-soaked before fermentation. Descriptions of “intensely concentrated flavors” in the grape clusters and “further concentrate the wine” are found in the Fact Sheet. This describes vinification more than intent. 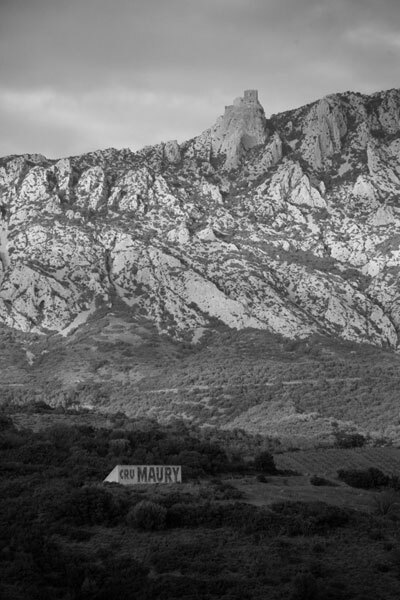 The real answer lies with Maury, the region in the Roussillon where the fruit is sourced from. Maury is known for fortified vin doux natural produced from primarily Grenache Noir, I make the distinction because Grenache Blanc, amongst others, is allowed as well. Maury is vinified similar to Port in that fermentation is arrested through the addition of spirits but the initial aging period takes place in glass demi-johns. After which it may be aged in wood. A proper Maury must have an alcohol level of at least 15%. Descriptions of raisin, prune, and fig may be found. Dave originally purchased 30 acres of vineyard then expanded his holdings to some 300 acres. These are old vineyards which include vines planted between the two World Wars. His yields are low, down to half a ton per acre. The name of the wine Shatter is an English term for Coulure which is a carbohydrate deficiency in vines that causes the vine to conserve resources instead of developing the fruit. Grapes may be dropped and sugar levels are reduced thus lowering yield. I am unsure if they actually produce wine from Coulure affected vines nor if this type of deficiency makes good tasting fruit. If both are true then the name of the wine and label are interesting. I think I approached this wine wrong. I was not tasting a red wine, I was tasting a twist on the traditional fortified wines of Maury. In Jancis Robinson’s article The archivist of Roussillon you may read that a Maury wine may not change even after two decades in barrel. This is different. It is evocative of Maury but may be drunk young and will certainly last for many days once the bottle is opened. Do not try this with dinner for you will be perplexed. Instead you should end your evening with a glass. This wine was sampled at MacArthur Beverages. Imported by USA Wine West. This wine is 100% Grenache which was aged for 12 months in 75% new French oak. Alcohol 15%. The nose is eventually of dried fruit, cranberry-raspberry, and extracted aromas. The flavors are an intense mixture of Christmas spice and berries with a underlying red fruit and blackness. There were minerals and a little salty, weighty aspect which went with the cherry chocolate note. I picked up a dried fruit, concentrated feel. The tannins were very smooth and ripe making way to a very long aftertaste. This should last at least one decade. I plan to use this week to catch up on various tasting notes from August. It is not that I tasted more wine over the summer, rather I spent more time relaxing rather than typing up tasting notes on my computer. I picked up these three French wines during my recent trip to Unwined on King Street. With all of these priced the same I would recommend purchasing the Domaine Lafage followed by the Clos du Mont-Olivet. 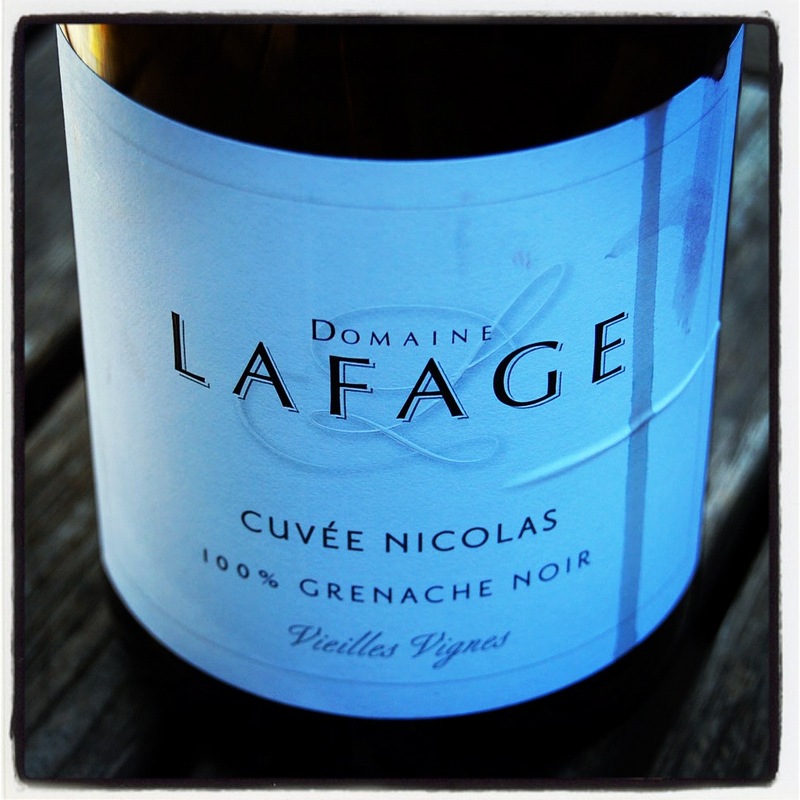 The Domaine Lafage shows the warmth of the Roussillon with its generous forward nature. 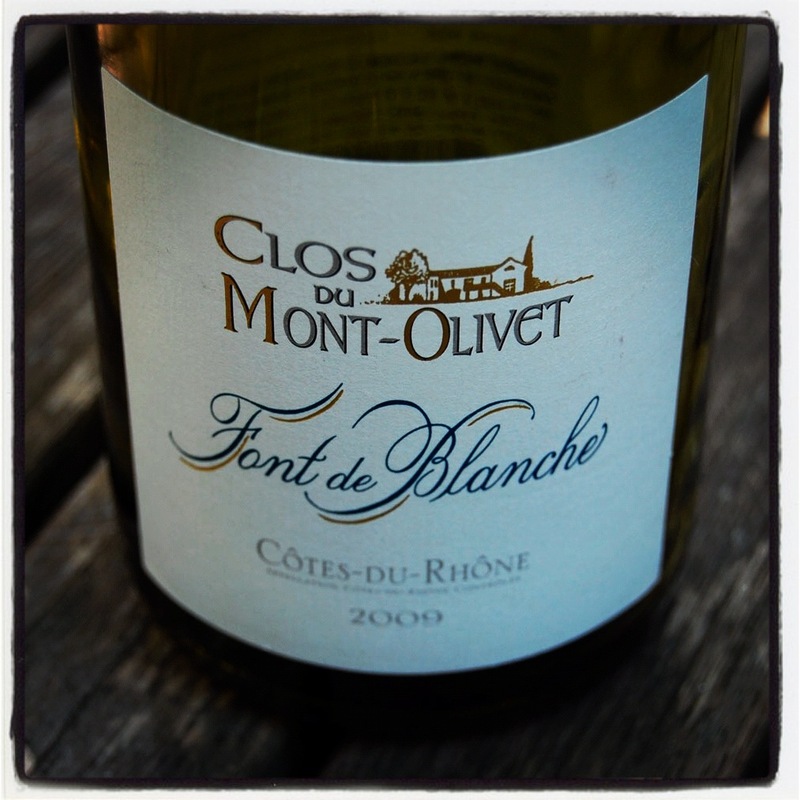 The Clos du Mont-Olivet, Font de Blanche is a base-level blend that seems to be in an awkward stage right now. It certainly needs another year in the cellar and could possibly improve in that period. 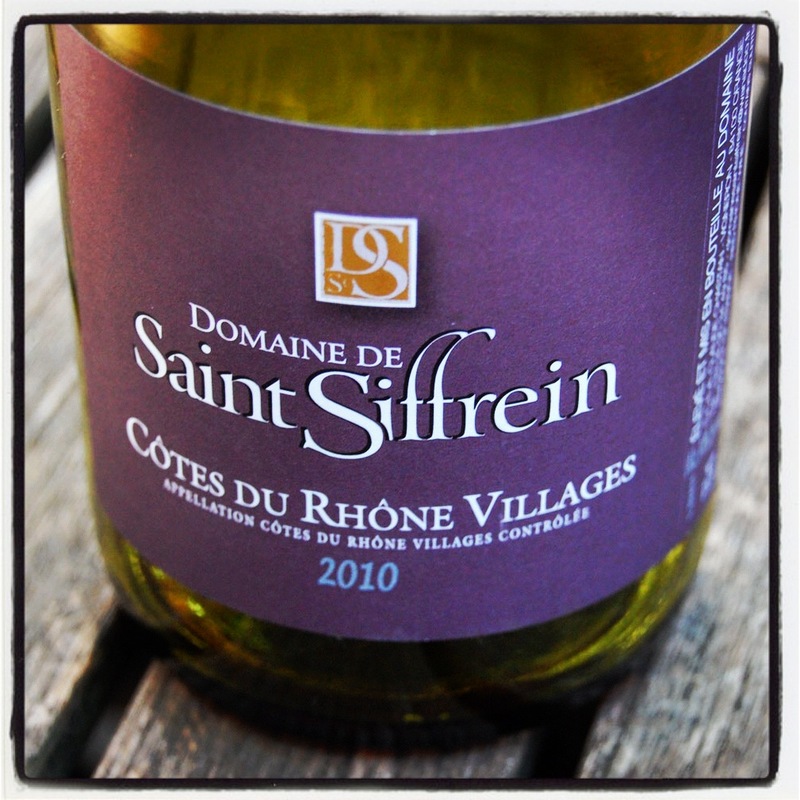 The Domaine de Saint Siffrein is without flaw but then does not inspire much thought upon drinking. These wines are available at Unwined. Imported by Eric Solomon/European Cellars. This wine is 100% Grenache which was fermented in open-top containers followed by aging on the lees in barrel. The light to medium strength nose reveals blueberries and red grapefruit. 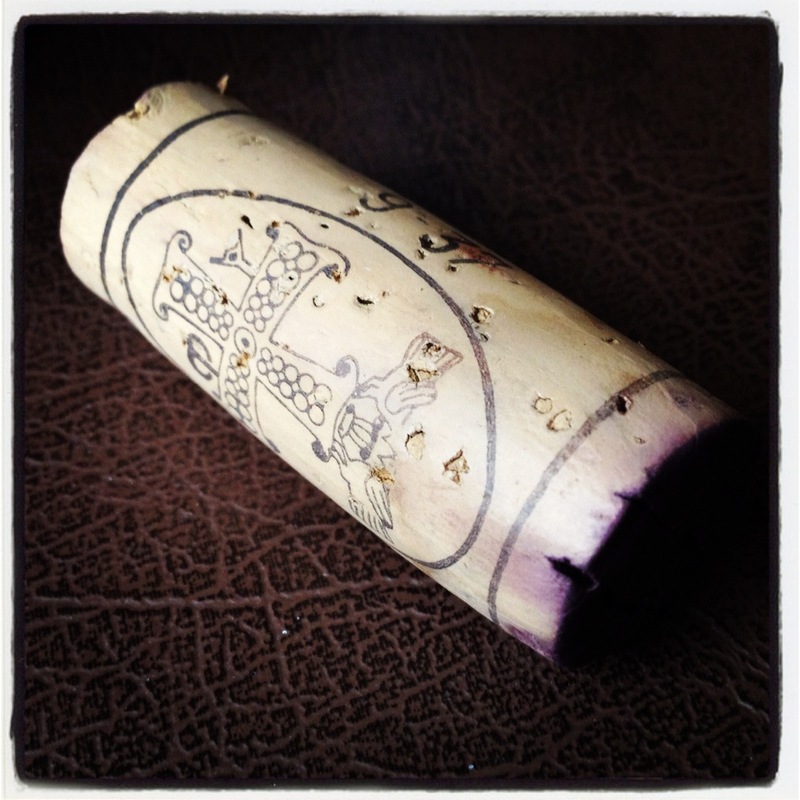 In the mouth the fruit is bluer with a racy vein, smooth mouthfeel, and chalky, dusty tannins. The flavors become lifted and perfumed in the finish. The aftertaste leaves perfumed flavors with some lipstick, red grapefruit, and a powdery sweetness. This is a solid, forward drinking effort. *** Now-2017. Imported by Dionysos Imports. This wine is a blend of 60% Grenache, 38% Syrah, and 2% Cinsault. It was aged in cement tank. Alcohol 14%. Philip Cambie is an advisor to the estate. Tasted over two nights the nose remains light. In the mouth there are notes of pepper, graphite, and stone-framed blue fruit which is lifted and expansive. The flavors turn towards red fruit with focused notes of pepper, all in a structured delivery. There are lots of fine+ drying tannins. This was much better on the second night but still seems tight. **(*) 2013-2016. Imported by J.A.O Wine Imports. This wine is a blend of 80% Grenache and 20% Syrah. The fruit is destemmed then fermented and aged in vat. Alcohol 14.5%. There is a light, contemporary nose. This solid-drinking Rhone starts with slightly tart flavors. It gains a little weight and creamy mouthfeel as fresh, red fruit comes out. The flavors are delivered with a grapey concentration. There are sweeter tannins in the finish. While this tastes very young right now it should be drunk over the short-term. ** 2015-2018. During my last trip to Seattle I purchased two wines from Champion Wine Cellars. Having recently reviewed the 2007 Mas de Gourgonnier, Reserve du Mas I thought I would feature this bottle of Chateau l’Hospitalet. l’Hospitalet was first mentioned in the mid-16th century. The monks of the Hospice of Narbonne grew vines on the estate. In 1991 the Ribourels family restored the chateau and developed the vineyard. A year later Gerard Bertrand started a winemaking business having recently retired from playing rugby. 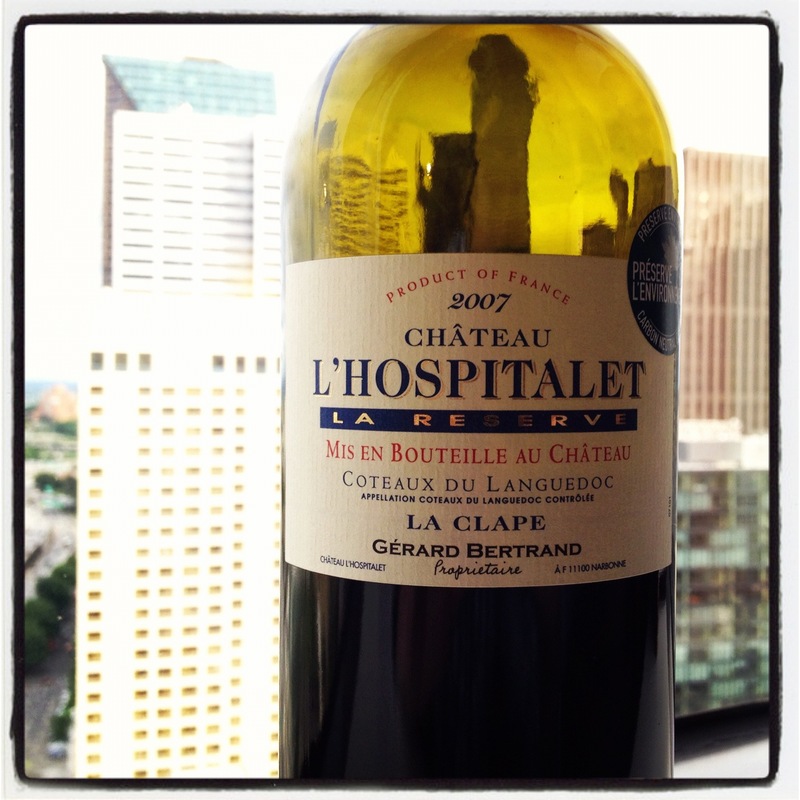 In 2002 Gerard Bertrand purchased the estate and today owns five individual estates. 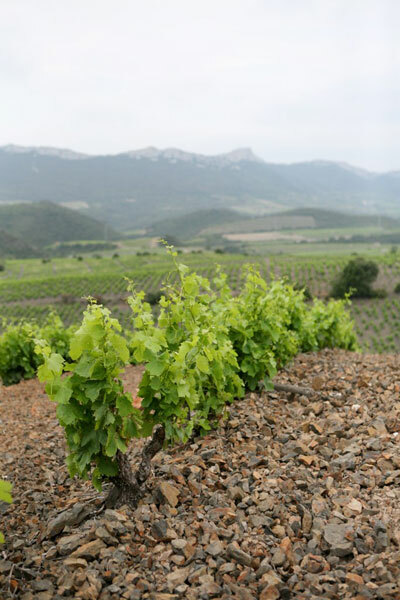 Chateau l’Hospitalet has some 80 hectares of vines set amongst 1000 hectares of scrubland along the Mediterranean. I normally mind overt barrel smoke in my wine but this bottle revealed smoked meats which actually worked with the strong nature of the wine. Though a few Dollars more than I would like to spend it is nevertheless a rather solid wine which should soon offer peak drinking. Imported by USA Wine West. This wine is a blend of 40% Syrah, 30% Grenache, and 30% Mourvedre which was aged for 12 months in French oak barrels. The medium+ nose reveals good berries, herbs, perfume, and eventually black cherry. With air there are aromas of grilled, smoked meats. In the mouth there is generous texture at first before it rounds out with blue fruit, wood box, and smoke in the finish. There are lightly ripe, drying tannins. There is a watery softness and flavors of savory, smoked bacon in the aftertaste. There is a sense of ready power just waiting to let loose. **(*) 2015-2019. 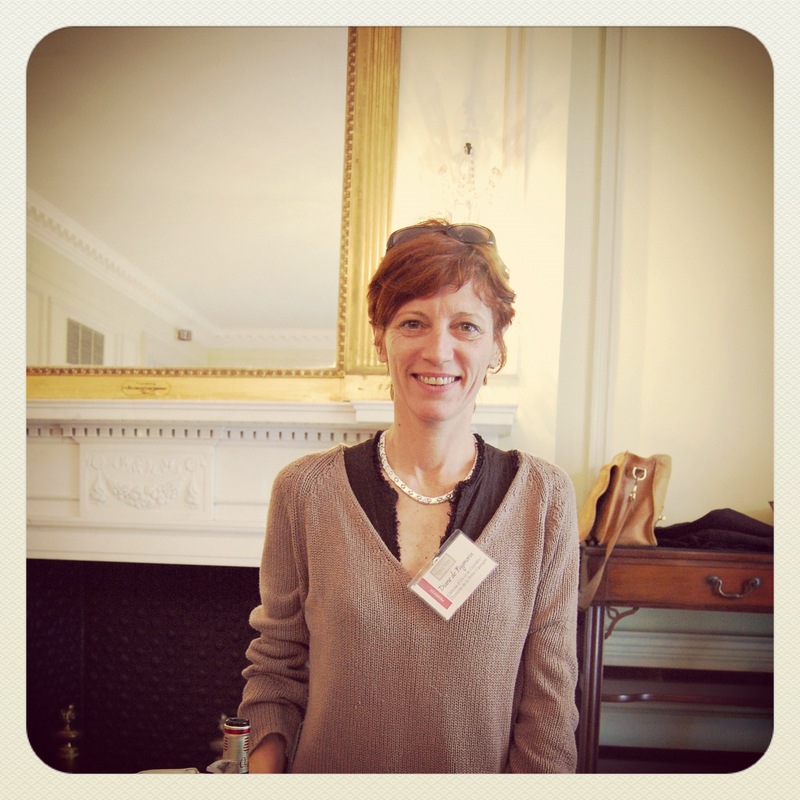 I love the wines of the Rhone and Languedoc-Roussillon so I eagerly started in on this part of the portfolio tasting. 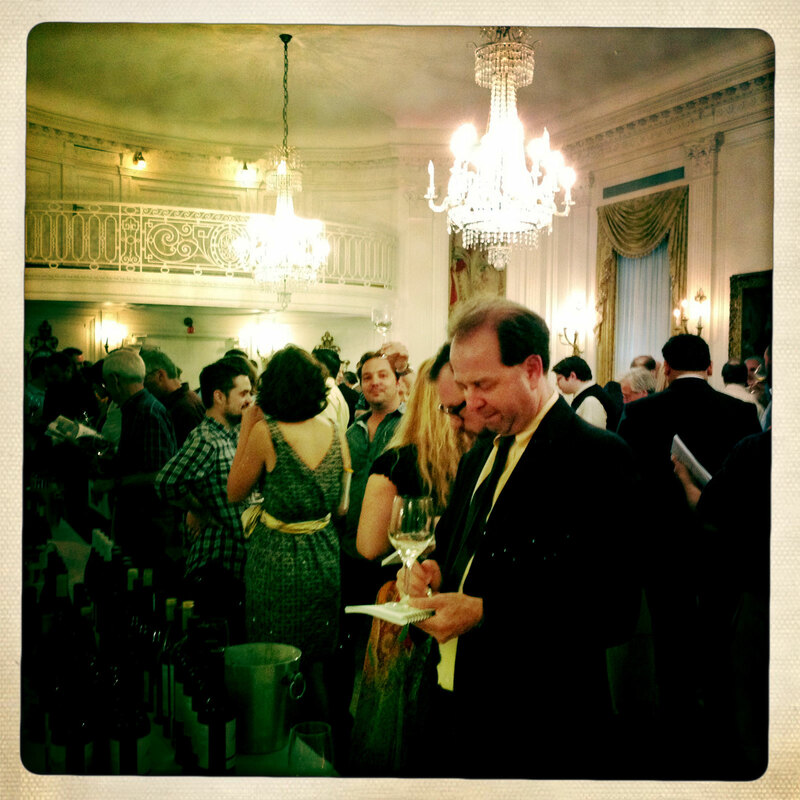 My two favorite wines were easily the 2009 Jamet, Cote-Rotie and the 2010 Les Cailloux, Centenniere, Chateauneuf du Pape. The Jamet was a complete and self-confident wine, absolutely beautiful. The Les Cailloux was at the other end of the spectrum with power and concentration to its incredible array of flavors, yet it was not overwhelming. At the more affordable end of things you cannot go wrong with any of the four wines from Chateau d’Or et de Gueules for they will make you and your friends smile. 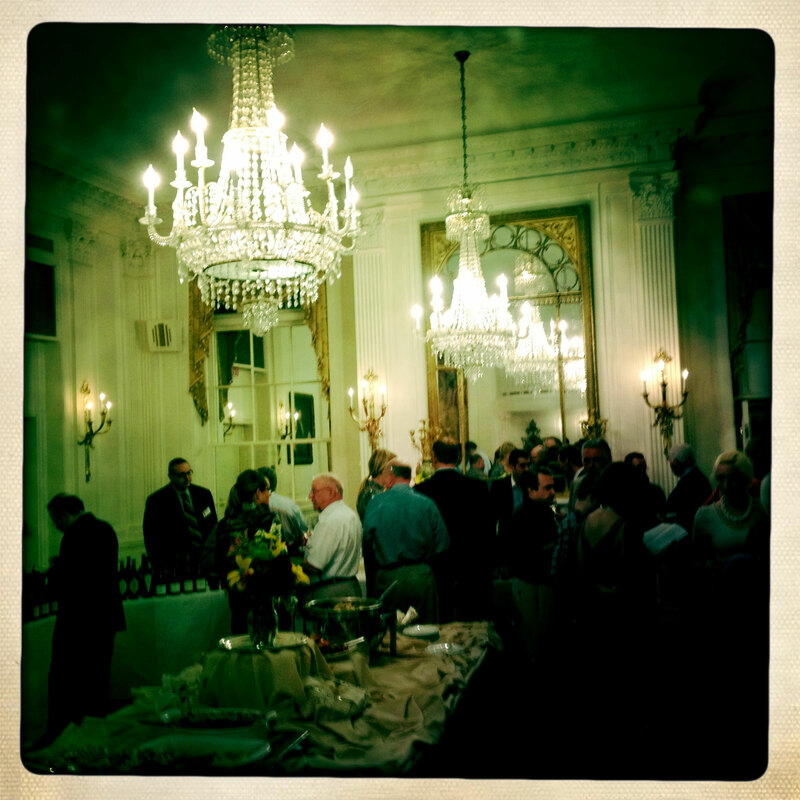 The Le Temps Este Venue is well-done for a Cotes du Rhone Villages. In general I felt the 2010 wines showed well with the 2009 quite tight. The fourth vintage of this 100% Viognier wine is produced from a one hectare vineyard. The light nose was similar to the mouth with its flavors of young, white peach supported by fresh acidity. There was some structure and a touch of ripeness. This wine is a blend of 80% Grenache and 20% Syrah sourced from the Plan de Dieu. The nose was perfumed with violets and blacker fruit. In the mouth the ripe fruit was chewy with fine, chewy tannins. Young and good. This wine is 100% Syrah aged for 14 months in 10% new oak casks. The nose was very perfumed. In the mouth the flavors were restrained with the perfume note following through. A tighter wine with black fruit in the aftertaste along with fine+ tannins. This played it tight. Black and red fruit with a subtle roundness, drying perfumed tannins. I had a hard time reading this wine. This wine is 100% Syrah sourced from three hectares of vineyards. This had a subtle ripe nose. In the mouth there was good perfumed red fruit showing presence and pleasing mouthfeel. All four of these wines were great fun to taste for they are engaging and satisfying to drink with their juicy fruit. I do like old-vine Carignan for I find a unique perfume in the flavors that is so appealing. But I must admit a preference for the old-vine Mourvedre. This wine is a blend of 60% Syrah, 30% Carignan, and 10% Grenache which was aged in cement tank for two years. There was a good fruity nose with perfume and delicate aromas. In the mouth the initial flavors were ripe and powdery as old-school perfume came out with drying tannins. This has a nice personality. Drink over the short-term. This wine is a blend of 50% Syrah, 25% Carignan, and 25% Mourvedre which was aged for one year in French barrels and one year in tank. The perfumed nose was a touch darker. Again there is a good ripe start then racy black fruit with pleasing mouthfeel. The flavors mixed with spicy, tannins and chewy, lovely flavors throughout. Will age for five to ten years but fun to drink now. This wine is 100% Carignan sourced from 80-year-old vines which was aged for six months in three-year old barrels. The light+ nose bore beautiful perfume. In the mouth the focused black and red fruit mixed with a haunting old perfume and a touch spicy tannin. There is gentleness to this wine. I would drink this over the short-term. This wine is a blend of 90% Mourvedre and 10% Grenache which was aged for 18 months in French oak. 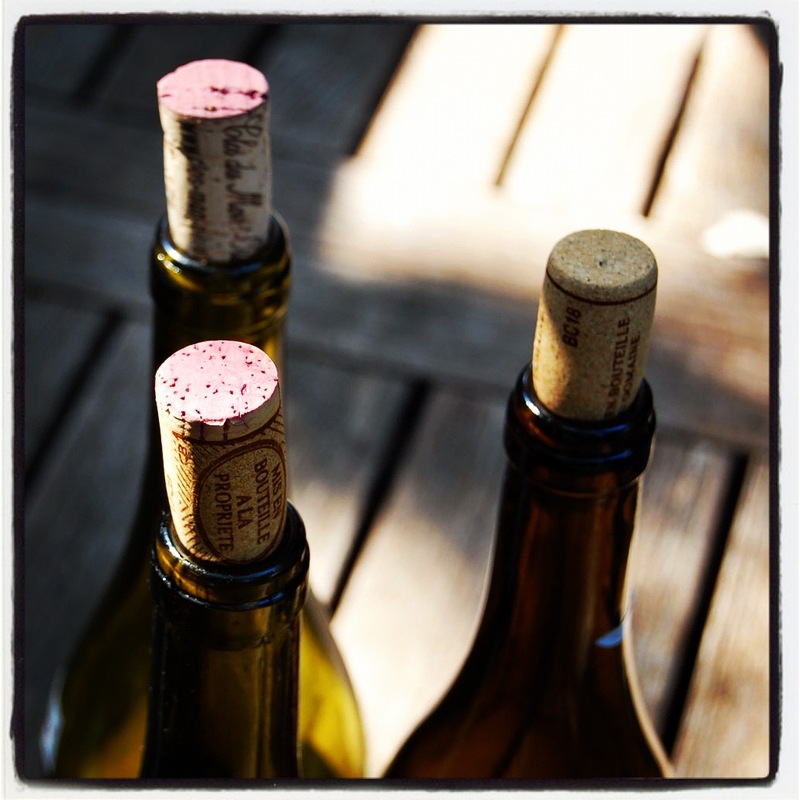 the Mourvedre is sourced from 90-year-old vines. The Mourvedre nose stood out with its perfumed red fruit which mixed with an old style grapefruit note (Kirsch). The mouth followed with racy flavors, good concentration, rustic, almost hot, chewy, powerful coating tannins. Strapping, drink over the next decade. It took one smell of my glass of 2009 Cote-Rotie to know I needed to drink and not spit this wine. It was engaging, complex, and complete. It caused me to focus and ignore all that was around. This wine is a blend of 60% Marsanne 30% Viognier, and 10% Rousanne. There was a subtle nose. In the mouth the flavors were mouthfilling with a soft, slightly tart profile, a snappy apple-like focus, and touch of spice in the finish. This wine is 100% Syrah sourced from 25-50 year old vines then aged for almost two years in mostly casks of which 25% is new. The lovely nose was effortless in its depth. In the mouth this beautiful wine had great texture, red perfumed fruit, integrated acidity, a little pencil note, quiet concentration, and was simply easy to drink. Arresting. This was an enjoyable trio of wines. I rather liked the Blanc. 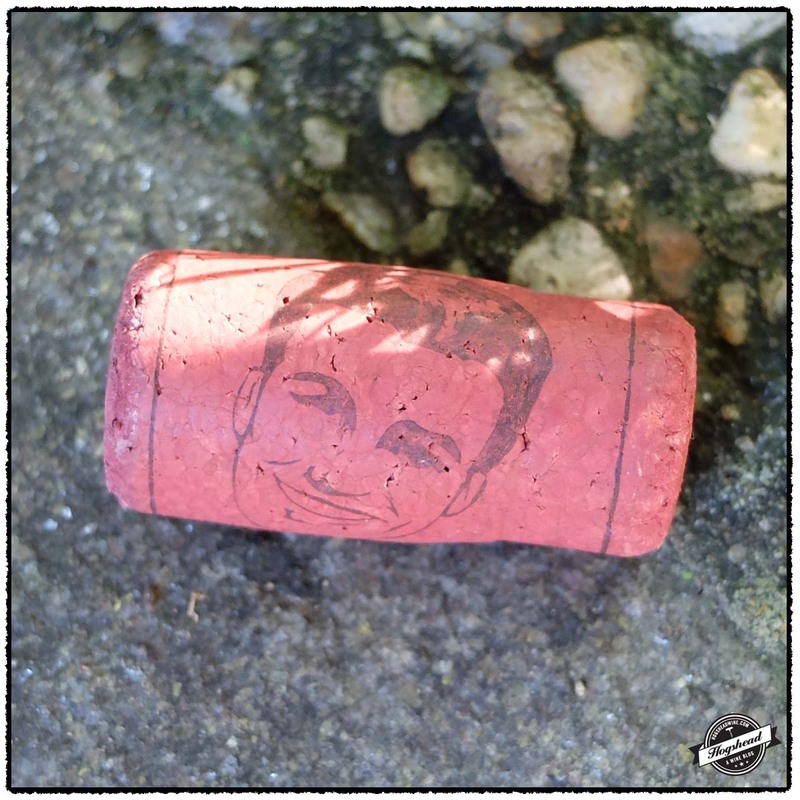 The regular Chateauneuf du Pape is powerful stuff but the Centenniere manages to harness the power and deliver a confident variety of flavors. This wine is a blend of 80% Roussanne, 10% Grenache Blanc, and 10% Clairette which was aged 4-6 months in vat. There was a good nose of perfumed mixed berries. In the mouth there was lots of focus and verve to the ripe fruit which bore rather appealing spice with an easy to drink personality. This wine is a blend of 65% Grenache, 20% Mourvedre, 12% Syrah, and 3% other grapes sourced from vines averaging 60 years of age. Aging is for 15-20 months with the Grenache in foudres and used barrels with the Syrah and Mourvedre in demi-muids. The Mourvedre in the wine jumped out of the nose. In the mouth the flavors were ripe and lively on the tongue, mouthfilling, chewy, spicy, with power and concentration. It was quite expansive in the mouth. The tannins were strong but integrated. Big stuff, cellar for five years then drink over the next 15 years. This wine is roughly a blend of 80% Grenache, 12% Mourvedre and 8% Syrah sourced from 100+ year old vines. Produced only in good years the Grenache is aged in tank with the Syrah and Mourvedre in used barrels. The nose was tight but in the mouth there were very pure flavors delivered with power and raciness throughout. The amazing fruit was black and perfumed, with lovely flavors, minerals sweeter towards the finish, and an enjoyable spicy Mourvedre note. There was a long-lasting aftertaste. This should last for a few decades! This wine is a blend of 75% Grenache, 15% Mourvedre, and 10% Syrah. The lighter textured nose made was to decent, powdery red fruit in the mouth. Approachable now and should provide early drinking. This wine is a blend of 50% Grenache Blanc, 25% Clairette, 20% Roussanne, and 5% Bourboulenc sourced from 40-year-old vines. It was aged 6-8 months in stainless steel tank and new oak barrels. The nose had leaner, brighter fruit. In the mouth the flavors started with brightness then rounded out with creamy apple note, tartness, and some wood. This wine is a blend of 70% Grenache, 10% Syrah, 10% Mourvedre, and 10% Cinsault, Counoise, Terret Noir, and Muscardin aged in foudre and barriques before tank. This had a light, simpler nose of red, grapey fruit. In the mouth the red fruit had some depth, a little muscle, but was overall light in personality. 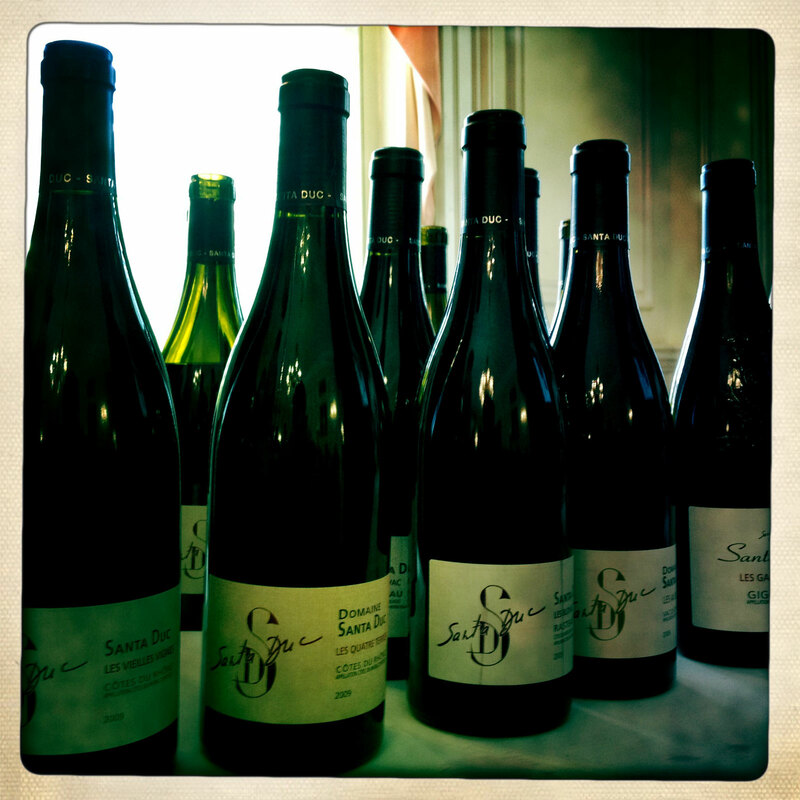 I am a big fan of Domaine Santa Duc so it was good fun to taste through a range from the 2009 vintage. In general these were tight, muscular wines with a fair dose of tannins. You should cellar all of these. This wine is a blend of 60% Grenache, 20% Syrah, 10% Mourvedre, and 10% Cinsault, Counoise, and Carignan sourced from roughly 50 year old vines. It was aged on the lees in vats. There was a Mourvedre like nose. In the mouth the tight stony fruit started off spicy with lots of structure and fine tannins. Everything is in balance but this needs several years of age. This wine is a blend of 70% Grenache, 25% Syrah, and 5% Carignan and Cinsault sourced from Vacqueryas, Roaix, Seguret, and Rasteau. The nose was still tight with aromas of brambly fruit. In the mouth there was ripe, stoney, structured fruit which was a touch spicy with black fruit in the finish. The drying tannins were citrus-like. This really needs some age for the tannins to resolve. This wine is a blend of 80% Grenache, 10% syrah, and 10% Mourvedre sourced from the old vine parcel of Les Blovac. The nose was a touch more tooty-fruity with its red aromas. In the mouth the flavors taste traditional with red fruit, structure, good acidity, and a hint of Mourvedre personality. I would cellar this for three years. This wine is a blend of 80% Grenache and 20% Syrah sourced from Les Aubes and La Ponche. It was aged on the lees for 18 months in cask. This wine had lurking power with its brambly fruit. There was good restraint, tight structure, tasty flavors, and fine drying citrus-like tannins before the perfumed aftertaste. I would cellar this three to five years. This wine is a blend of 80% Grenache, 10% Syrah, and 10% Mourvedre sourced from old vines. It was aged half in old wooden vats and half on the lees in tank. The nose was a bit earthy as it stood out. In the mouth the muscular red fruit existed in a muscular frame but still managed delicate red notes. There were very fine powerful tannins. I would try this again after five years. 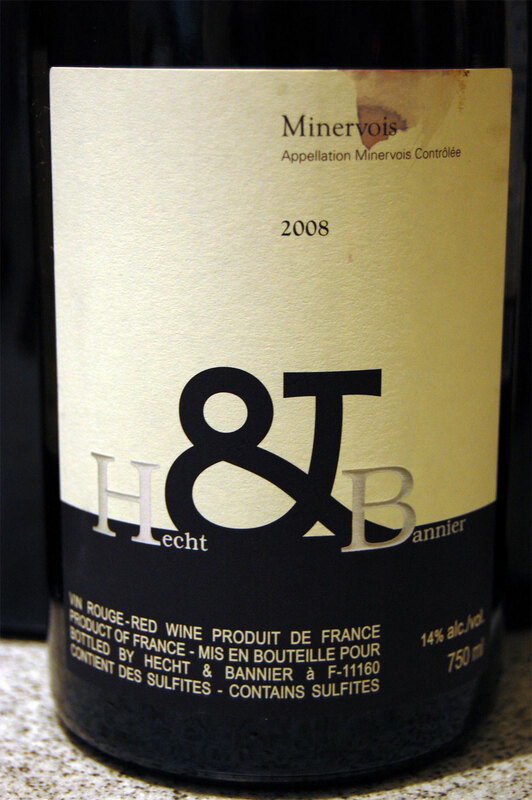 Hecht & Bannier are a negociant which has specialized in the red wines of Southern France since 2002. They select only wine that has completed fermentation which they bring back to their facility for blending and aging. 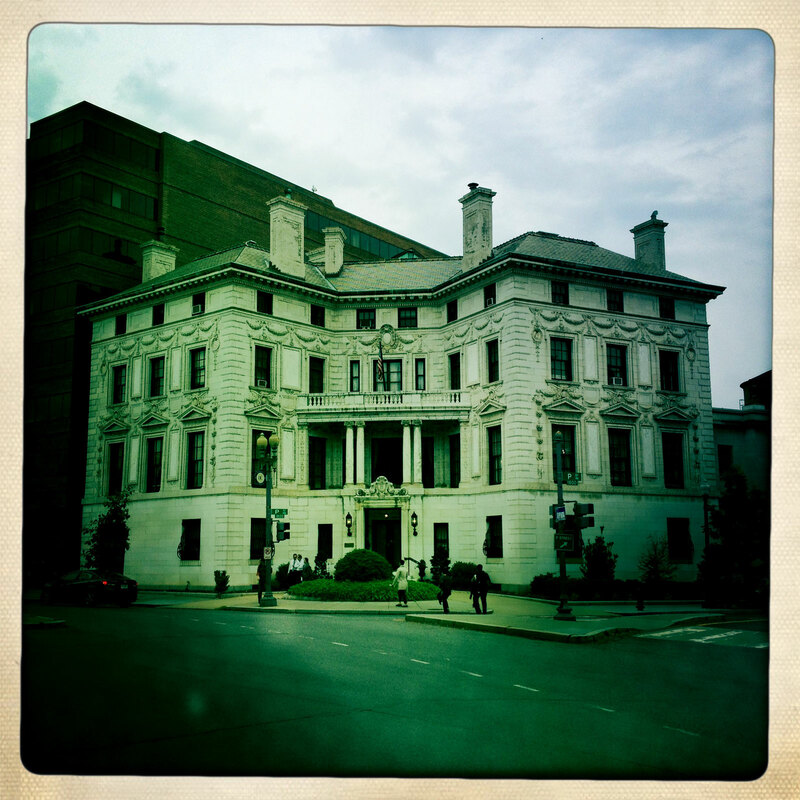 Since they do not maintain contracts they may freely change their sources on an annual basis. The cuvees are typically a blend of 5-10 sources. For aging they prefer to use larger barrels blended with some tank aged wine to preserve the fruit. 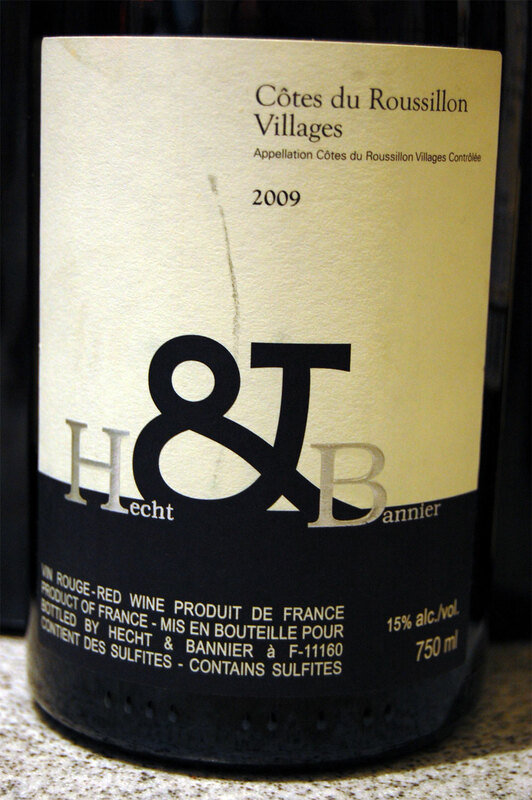 The 2007 vintages of Hect & Bannier, Minervois and Cotes du Roussillon Villages were rock-star wines in two ways: the Minervois was flat-out incredible but the Cotes du Roussillon Villages combined the generosity of the vintage with the warmth of Roussillon to produce a wine turned up to 11. These new selections are quite different. The 2008 Minervois omits the Mourvedre that was in the 2007 which I sorely miss in this vintage. It is a good wine with nice dried-herb notes but it failed to excite me. The 2009 Cotes du Roussillon Villages adds some Lledoner Pelut in a style that showcases restraint and structure for aging. I quite like it and recommend you cellar a few bottles. These wines are currently available at MacArthur Beverages. Imported by Frederick Wildman and Sons. This wine is mainly Syrah followed by Grenache and “[s]ome drops of Carignan.” It was aged 30% in tank, 30% in 225L barrels, 20% in demi-muids, and 20% in 400L barrels. The nose was bright with tart red fruit. In the mouth the flavors start with red fruit mixed with dried herbs. With air the flavors become moderately expansive before they mix with a fair amount of acidity and some tannins. This needs a year or two to come together. ** 2014-2017. Imported by Frederick Wildman and Sons. This wine is a blend of Grenache, Syrah, Carignan, Mourvèdre and Lledoner Pelut. It was aged 40% in demi-muids, 30% in tank, and 30% in stock vat. There is a light nose of black fruit. In the mouth the blacker fruit has a cool aspect, restrained ripeness yet shows good depth. With air bit of minerals come out, some ink, and garrigue in the finish. With air a tea note develops along with subtle spices and lipstick, with a touch of spiciness in the finish along with glimmer of heat. Give this wine a few years to settle down. *** 2014-2019.